Sports in India is no longer limited to the sixes & catches, it’s also about the hits & the goals, about the strokes & the laps. India has started crawling towards an emergence as a multi-sporting nation, but it’s going to take a lot more time to be able to start running in the race. In order to take the sporting ecosystem to the next level, we need to produce really strong & dominating non-cricketing superstars & legends like Tiger Woods or LeBron James. Of course we now have the medals that are being won in international competition regularly, but is that enough moving forward? Well, not really! It’s high time that we start focusing on dominating a particular event or discipline. It’s only when we will aim at conquering the sport, shall we unleash a tsunami of new talent and aspirations into the system. And this will prove to become that critical move which will enable Indian sporting participation at the grassroots level to the go beyond. Ofcourse we have a long long way to go when it comes to sports inspiring people. But somehow the hope needs to RISE. The hope which we carry for a few of our top achievers, needs to scatter amongst all the aspiring performers. It’s great to celebrate the participation but it’s much more important to make the most out of it. We cannot be content with just qualifying for the finals or just getting into the world cup, we must have an aggressive “win big” mentality. When a sportsperson trains with the “win big” mentality, they know they have to train harder, smarter and longer than anyone else on the planet and not just “enough” to make the national squad or hope for a podium finish. The entire support staff like coaches, sports authority of India who arranges pre event international tours, physiotherapists etc. bring a sharper focus and dedication to their decisions. The prospect “CONQUER IT ALL” can galvanise even the most apathetic babus into action. It’s high time we stopped lingering over the success of a few individual athletes. We need the system to become more productive and start churning out many more prospects. An efficient system, should produce ‘athletes’ who will deliver high performance so that we don’t put all the pressure on just one or two individuals. A full stable of potential world champions will all feed off each other and relieve each other of the pressure of carrying a billion hopes. And it’s not something novel, we do have such systems integrated in truly sporting nations such as Australia, China, Germany, USA and so on. Gone are the days when athletes could use an excuse to step over, luckily, a lot of national level athletes across many sports are today completely financed and adequately supported through various government schemes and policies like Sports quota admissions, jobs, the TOP scheme and initiatives like the Khelo Indian School Games, which is now in its new avatar as the Khelo India Youth Games. We have had the recent instance of a Jakarta Asian Games shooting champion, who resurrected her career after being able to hire a quality and decorated former foreign athlete as coach, thanks to support from the Government through such schemes and policies. Another issue of access to quality sporting infrastructure is also much less today with a multitude of open community gyms supplementing various sports complexes in urban areas as well as Sports Authority of India (SAI) centres in rural locations. There’s no better guide than the man who has done it himself, who has lived each moment of it and knows how to tweak the situation in your favour. We have a lot of history creators within our access, we have sportsmen and women of yesteryears, who have performed and won at the highest levels, today available in plenty as coaches and mentors. And these champions are willing to give back much more than used to be the case previously. 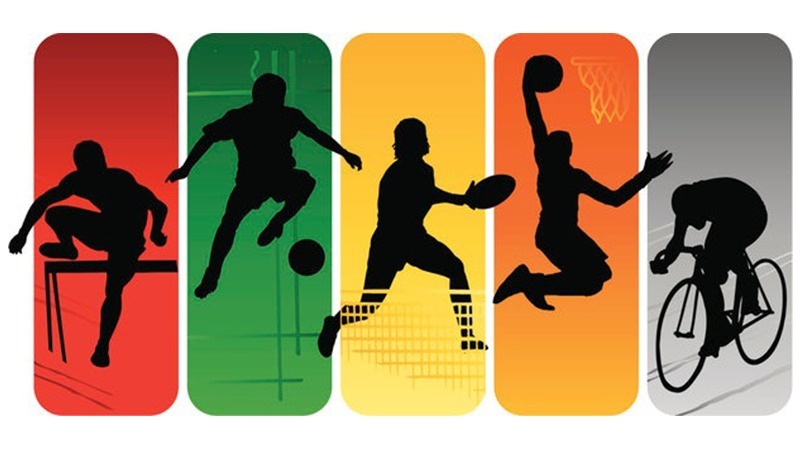 Did you know almost all the major corporate houses are empowering & engaging in sports. Thanks to a government policy allowing investment in Olympic sports to be included as part of CSR spends, more and more companies are also more than willing to associate with sport. The advent of various leagues is testament to this growing involvement of the corporate world. So, it’s definitely time to act now. All we really need to lay our focus on is to change our attitude. It takes just one courageous athlete to inspire a million others.